Numerical expressions are essential for knowledge of maths, and very important in its use in every day. To help you study maths, here you will learn what are numerical expressions and how to calculate numerical expressions. a) how much money was spent. 2 x 1.30 + 1.10 expresses the amount he spent, which is equal to $3.70. b) how much money is left. 10 - (2 x 1.30 + 1.10) expresses the value that is left, which is equal to $6.30. To learn how to calculate numerical expressions, is critical to realize that exists a series of operations, and so, there must be rules to implement them. This rules are called order of operations. So, to calculate numerical expressions, you have to know the order of operations of numerical expressions. Below, you can find an example with the rules explained to you understand more easily. In a numerical expression, the operations are not made simply by the order in which they appear. Each type of operation has a priority, which indicates which operations must be done in the first place. 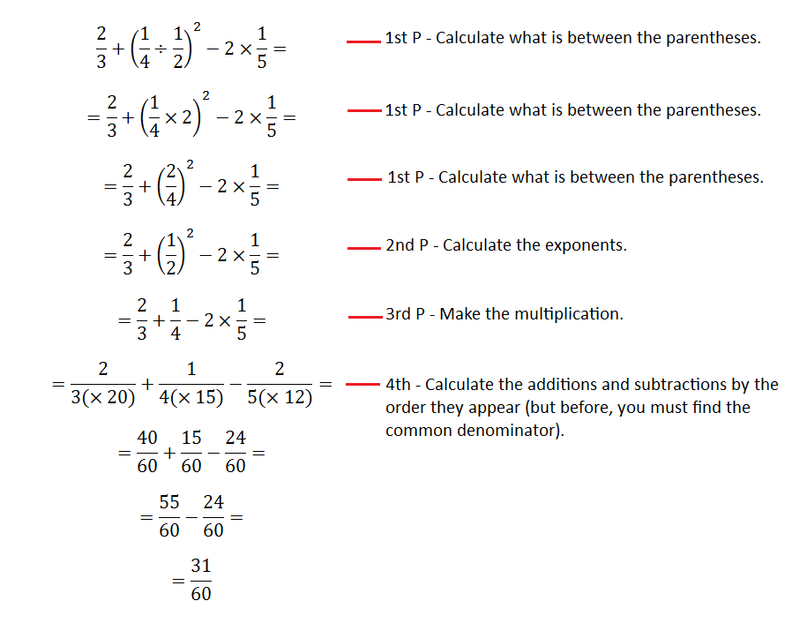 Then you can check the order of operations to calculate numerical expressions. 1st Priority - Firstly, make all calculations within parentheses (these calculations must follow the rules described below). 2nd Priority - For operations, we must first make the exponents or roots. 3rd Priority – Calculate the multiplications and divisions in the order they appear. 4th Priority - Finally, calculate the additions and subtractions in the order they appear.